Sorry, but there is a conflict of this mod with Nuke Town. 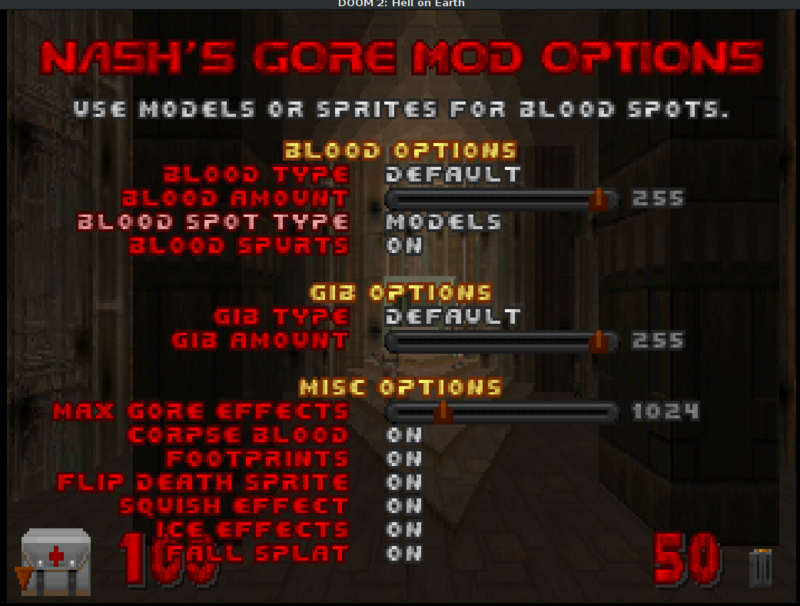 My mod have sprites named like "0001", "0002" etc, and Nashgore's TEXTURES file have this names too. Its mean all weapons, items etc will be missing, if you load it in wrong order. Don't get me wrong (tautology at its finest), im not whinning here, and this problem is pretty avoidable, but still, for awareness. This mod is fantastic. Bolognese bogs my framerate down (currently playing through Alfonzone) but this is smooth all around. All hail the King. ... and thus Nashgore 3.0 is now made redundant and obsolete. At least I don't have to worry about releasing anything anymore from now on. ... and thus Nashgore 3.0 is now made redundant and obsolete. :) At least I don't have to worry about releasing anything anymore from now on. Sometimes blood models spawn before they're flush with the ground (even if a floor check "prevents" them from spawning, you still see the model for a brief moment before it vanishes). Thanks all of the reports so far. I took care of most of these, but I'm gonna do much more thorough testing before I release the next version. In the mean time, if there are any extremely game-breaking bugs, I will post band-aid solutions (like what I did for the "blood blocks elevators" bug). Another fan you've got here. Its replaced Universal Gibs for me, as the effects seem more consistant. I was also going to report blocking corpses in Evilternity, but it seems your posted fix allieviates it fine. Quick bug report: blood pools have collision turned on, and so they can block you from moving over them. This also allows you to... push the blood back into the body... per say. Chloroxite wrote: Quick bug report: blood pools have collision turned on, and so they can block you from moving over them. This also allows you to... push the blood back into the body... per say. I absolutely love customization, and the tooltips in the menu are very fine touch! There is a simple solution: put them on the top of the page, under the title. I tried this code, and I think it looks good on all resolutions. I always liked multicolored blood, so I used Droplets and Universal Gibs, but my computer isnt really that good to handle to many Hi-Resolution Models on the floor. 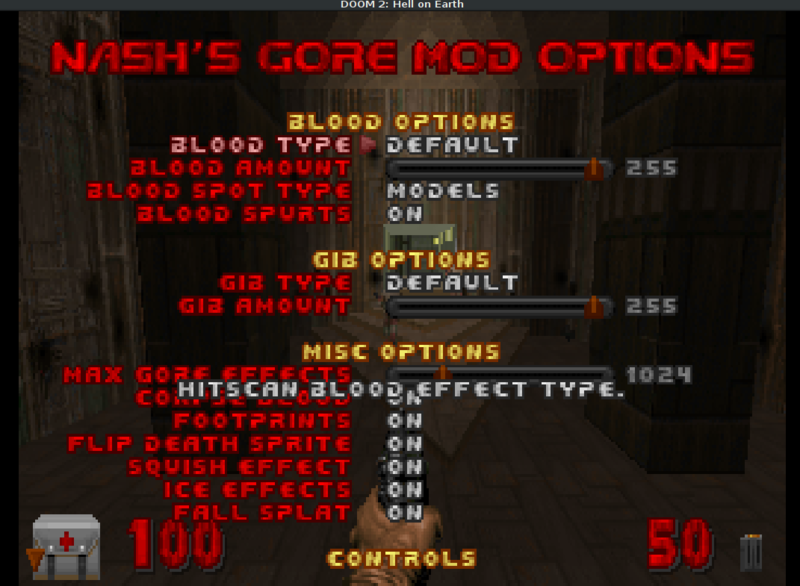 This on the other hand runs flawlessly, I really doubt changing my choice of blood mod in a while. This is the first blood mod I've been able to run on slaughtermaps. Nicely done messer. What do these numbers mean?! Well, it basically means that the CPU is now taking less time (waaaaaay less time) to process a blood actor. 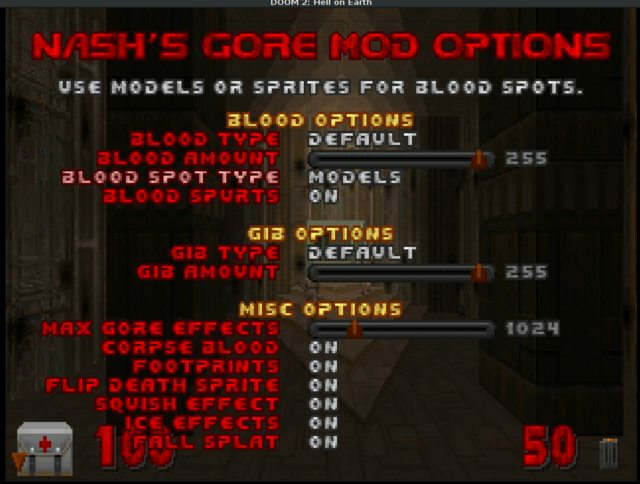 So you can spam the level with more blood effects without taking away too much CPU power. With an increased performance of up to 2125%; if the blood stuff were laggy before, they won't be as laggy anymore. 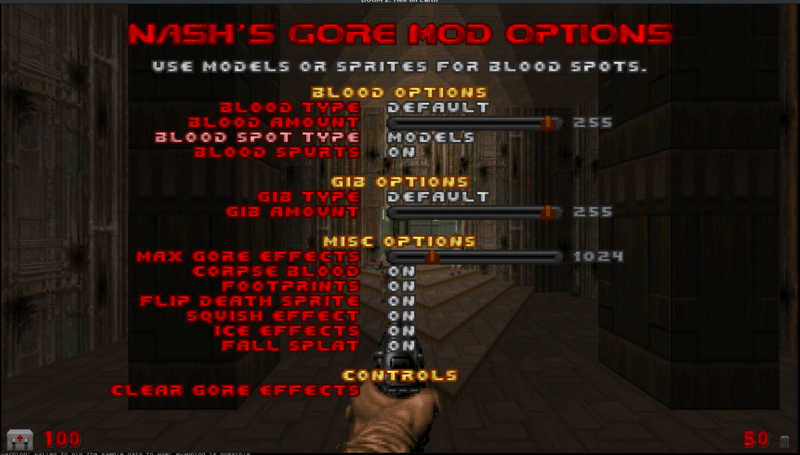 If you have a strong computer, you can crank up the maximum amount of blood and gore waaay more now before you start to feel the CPU performance hit. 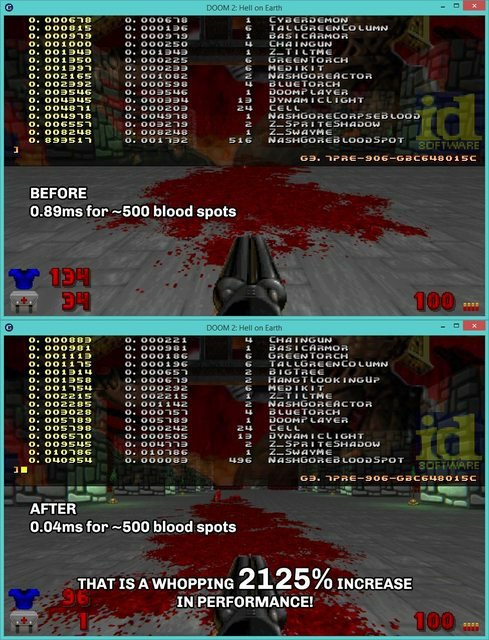 You'll finally be able to enjoy those slaughtermaps with minimal lag and maximum gore! I'm stoked to release the next update, which also has lots of improvements in various areas and fixes to the various issues reported. Stay tuned! Sounds great. Its already by far the best performing blood mod, so even more optimisation is fantastic and probably the work of wizardry few can hope to understand. I thought this mod is already optimized, but you made it even better!